The Pillow for Healthy Skin... and More! SOLD OUT! Please email us your info so we can keep in touch! As with keeping your body fit, your skin is a key part of looking youthful, healthy, and vibrant. Many people do not realize that wrinkles often occur during sleep. During sleep, your head — weighing around 12 pounds — puts tremendous pressure on your delicate skin. Wrinkles develop and deepen if nothing is done to slow-down that process. The Pil-ookie® sleeping pillow was designed, developed, and patented based on over 18 years of clinical research. Because your face rests completely in the unique curved openings The Pil-ookie® promotes healthy circulation and oxygenation of your skin while you sleep. Skin stays cleaner helping decrease acne. Nourishing facial creams stay on your face instead of rubbing-off onto your pillow. Brows and lashes, including extensions, are spared from being crushed all night long. The Pil-ookie is fit for all people of all ages including: teens, pregnant mothers, and the elderly. The perfect slope in the pillow facilitates circulation which helps make smoother skin and decrease swelling. The casing also benefits acne-prone skin. Things such as dirt and oil are kept away from your skin. The curves also help prevent pressure on the mouth and jaw, which is a good info for those who wear braces and retainers! Pregnant women are commonly known to lie on their sides while sleeping. Well, guess what pillow is perfect for those who sleep on their sides? The Pil-ookie of course! This genius beauty pillow was designed by plastic surgeon Dr. Cheryl Huang, and I’ve had the pleasure of sleeping on it for several months now and bring it everywhere with me! Its inventive C-shape eliminates face wrinkling while you sleep, which is key for anyone who wants to wake up looking refreshed and well-rested. It’s also a must-have for anyone who takes care of their skin because your precious creams and serums will remain on your face and not on your pillow. Best of all, sleeping on the Pil-ookie promotes circulation and oxygenation to the skin while you sleep, and even decreases swelling in your face. Plus, it’s incredibly comfortable and made right here in the USA. If you take your skin care seriously, you should absolutely own a Pil-ookie! "Personally, I think The Pil-ookie is pretty genius... highly recommend it to all skin care fanatics!" Looooove The The Pil-ookie®!!! Obsessed with this pillow. Your acne creams and products are not being wiped-off onto the pillow and you’re not compressing your skin causing wrinkles. The Pil-ookie® has helped me wake up looking more refreshed. It’s also super comfortable and helps me sleep more soundly. Personally, I think The Pil-ookie® is pretty genius. 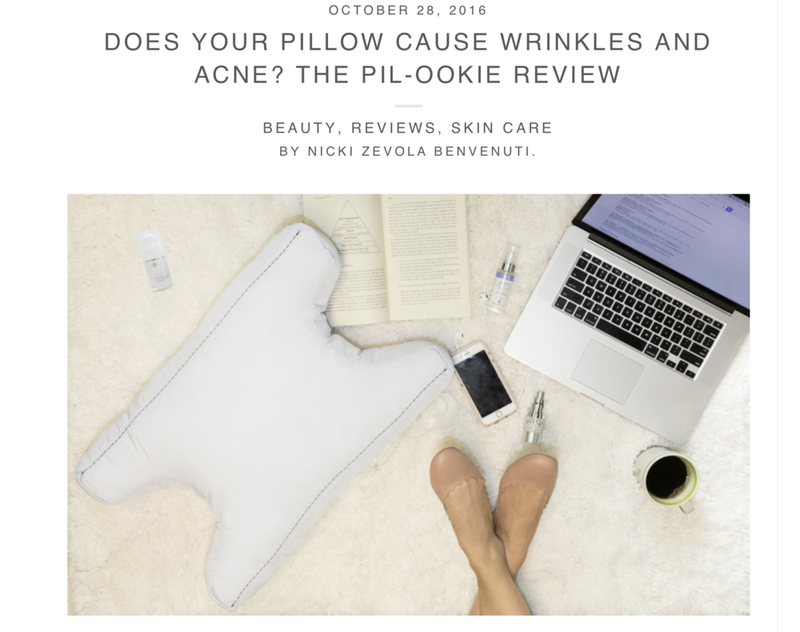 I’m excited there is a pillow out there that will take facial wrinkling at night out of the equation and highly recommend it to all skin care fanatics! 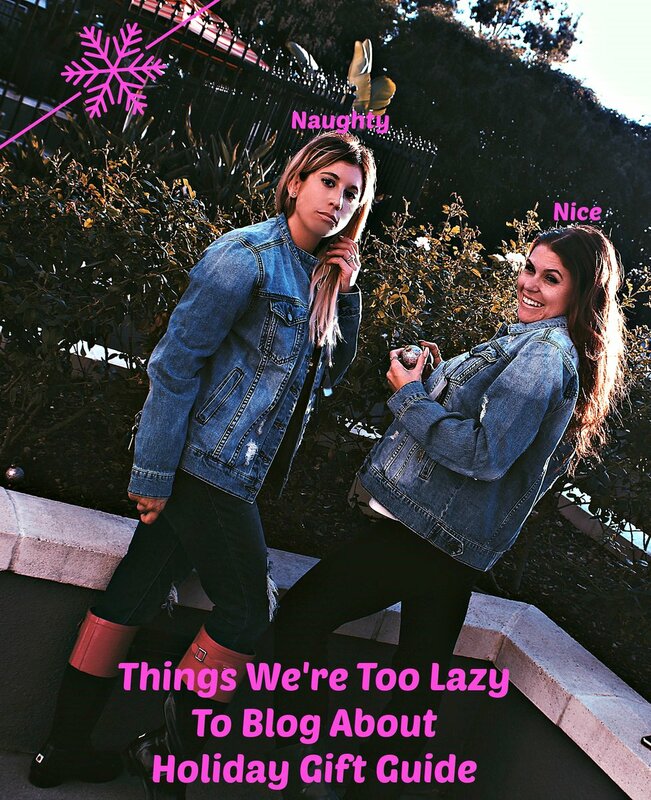 — Amanda Lauren and Ali Levine, LA Celeb Stylist and Star of Bravo TV "Stripped"